When most people think of big city vacations, they tend to think of New York City, Los Angeles and Hollywood. But Nashville, Tennessee is another great city worth checking out, especially if you are looking for music and local culture. Below are just a few things that you can do in Nashville to make your summer vacation a memorable one with friends or family. If you are visiting Nashville, a must-see landmark is the Grand Ole Opry, which is country music’s most famous stage. For the last 90 years, this is the place that has been giving some of the biggest names in the country genre their start. With multiple performances every week, ranging from 2 to 2 1/2 hours long, there is bound to be a show time that you can fit into your vacation schedule. If you love country music, you are not going to want to miss this attraction. With shows featuring some of the most well known musicians and up-and-coming artists in country music, you are guaranteed to have a great time at the Grand Ole Opry. Speaking of country music, after you visit the Grand Ole Opry, make sure you find time to fit in a visit to the Country Music Hall of Fame. Explore the museum on your own or take one of the guided tours to witness over 2.5 million country music artifacts in various exhibits, such as stage clothes, recordings, photos and even some iconic instruments. It is almost like visiting a Hard Rock Cafe, but it’s much bigger and specifically geared towards country music. Don’t forget to save some time at the end of your visit to stop in at the museum store, because you wouldn’t want to visit any kind of hall of fame without taking home a souvenir. Just make sure you budget your time, because they’re only open from 9 am until 5 pm daily, so after-dinner visits might not be an option. Originally built to be a place of worship, this church quickly became home to a host of activities like political rallies and live music. The Ryman Auditorium has hosted ballets, plays, bands, operas, symphonies and more. Ryman was even a former home for the Grand Ole Opry, which was based in the auditorium from 1943 until 1974. It has been used for TV and film productions ranging from “The Johnny Cash Show” all the way up to “American Idol,” and it has hosted some of the biggest names in music, such as Annie Lennox, ZZ Top, Norah Jones, Sheryl Crow, Kid Rock and Bon Jovi, to name a few. Ryman has had so much success as a music venue because it was built with the specific intention of projecting the powerful voice of Reverend Sam Jones. The Late Victorian Gothic Revival architecture is the secret to the acoustics that give the auditorium its signature resonance. If you want to check out something that’s a little less music-centric, even for just a day, make your way to the Lane Motor Museum. Jeff Lane opened this non-profit automobile museum in 2002 and has built up quite the collection of mostly European cars. While some cars are intentionally allowed to age for a historic feel, many are still in showroom condition, and all are kept in working order. The collection doesn’t consist of only cars either. There are a number of motorcycles, as well as small aircraft and some floating and amphibious cars. Some models were limited production runs, and others are just concert designs, but all are uniquely impressive and well worth the visit. Finally, if you’re a nature lover, or you’re just tired of all of the indoor activities and need to get out and stretch your legs and lungs for a bit, make some time to check out Randor Lake State Park. Take in the natural beauty of the local greenery and flowers, and watch for birds, reptiles, mink and otters. Walk, hike or bike the trail, or just relax by the water and unwind. It’s a great destination to take in some fresh air and get some exercise. 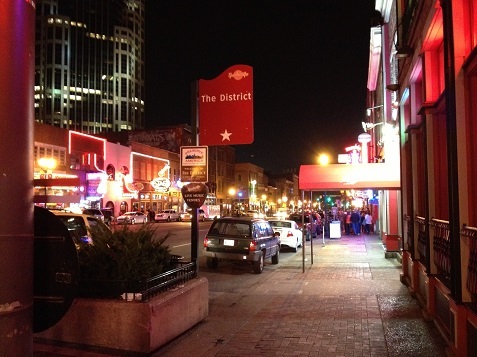 Nashville is a rich and exciting city that’s not only for music lovers. These are just a few of the landmark attractions and activities that you’ll find in this fun and entertaining place. Make sure to take plenty of photos to remember the experience.